Communities in Houston among other states are still struggling with the aftereffects of the recent hurricanes. 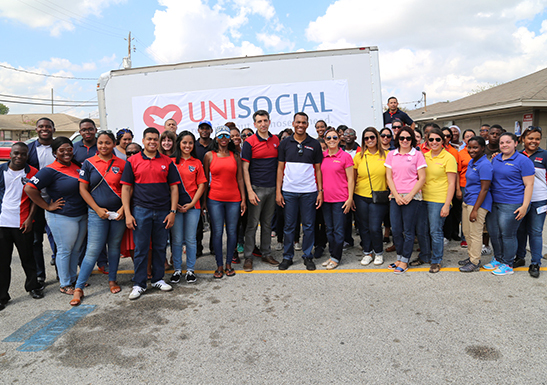 On September the 24th the UNISOCIAL in our Houston location paid a visit to a neighborhood in Ost- South Union. 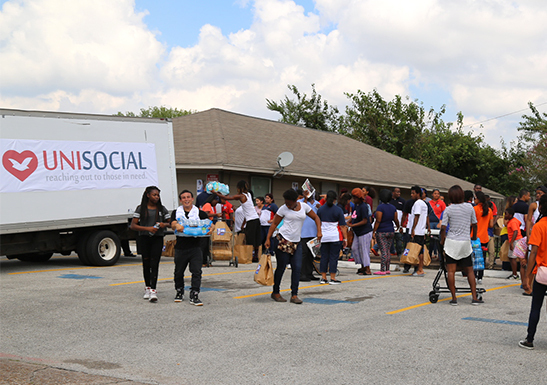 As soon as the groups arrived, they spread the word to all of its residents as an invitation to receive their grocery bag and cases of bottled water. The event, which had live music and some performances by the Youth power group, had a great number of present families. These families not only received the food that they needed in that moment but also received a word of faith. During the action, the elderly were assisted by accessible volunteers and took their water cases and grocery bags to their home. Whether you are looking for help or looking for ways to give a helping hand to your community, then we welcome you to UniSocial. Would you like to take part of the UniSocial Community? Contact your nearest UCKG for more information.